Hi lovelies! I was asked by Danielle to do a post on my top five bargains, whether they be from eBay, car boot sales or charity shops. As I'm obsessed with them all, I've included a nice little mix. I do have so many things though so it was difficult to choose just five. I went for four things which I've gotten so much wear out of, and one which is a bit crazy looking but a beautiful bargain nonetheless! 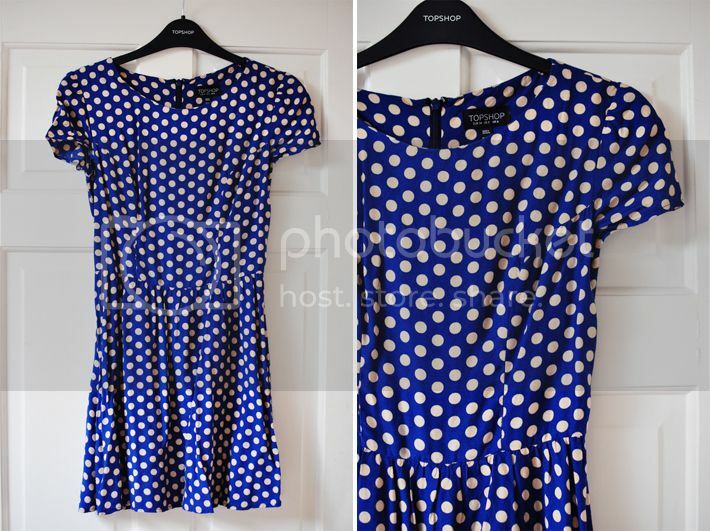 Firstly I have this polkadot dress from Topshop. 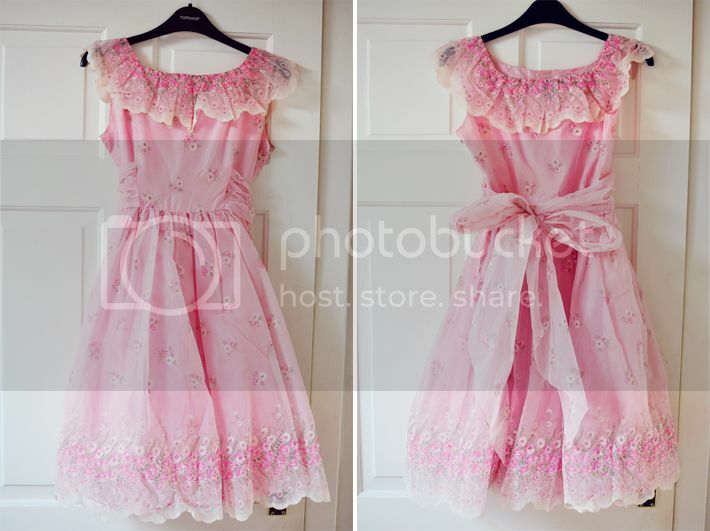 I'd wanted this dress for ages and finally got my hands on it for about £5. It's something I've worn so much, whether it's during winter with cosy tights or during the summer with a nice pair of sandals. 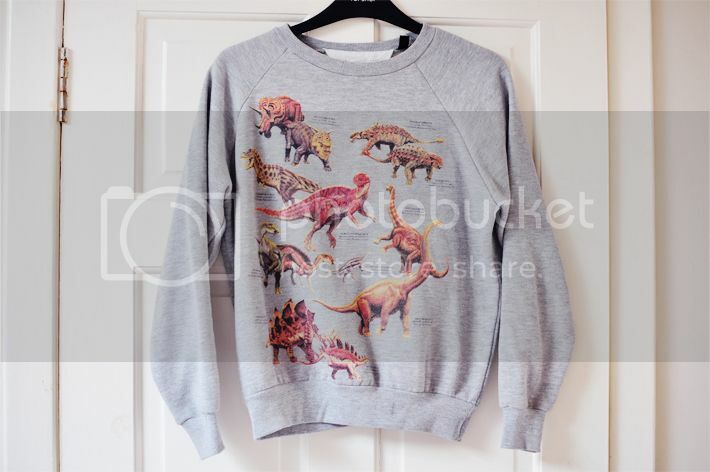 Another Topshop item which I managed to score for about £5 on eBay! It's so delicate and pretty, and goes perfect with so many skirts/jeans (okay, mostly black things as that's my favourite). 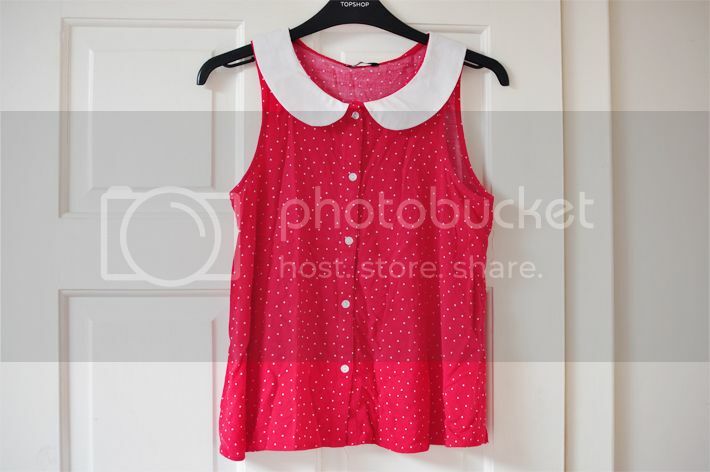 This pretty little peter pan collar top was only £1 from a charity shop - it became one of my favourites instantly! It's originally from George @ Asda. I love wearing it with black skinnies or tucked into a high-waisted skirt. 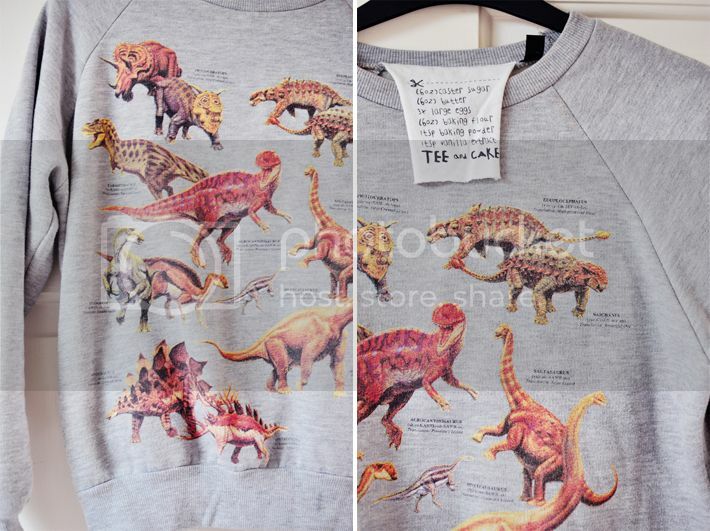 My last Topshop item (sorry, haha) is this dinosaur jumper which I definitely lusted after when it was in store. I'd just been at the dentist one sunny morning and happened to go into a charity shop where I got this for about £4 I think...such a good bargain! 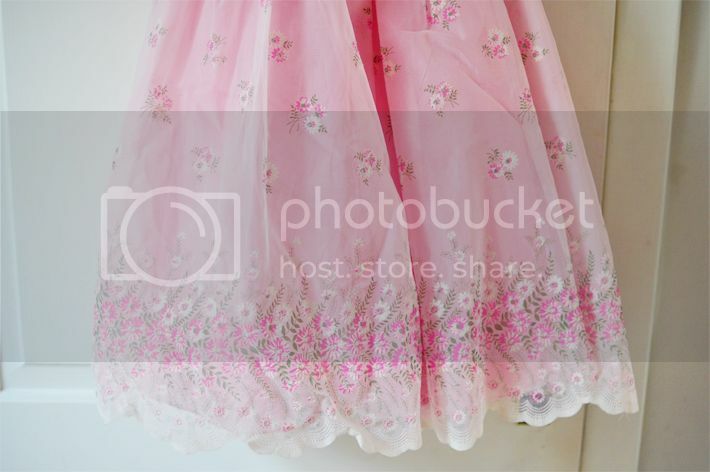 Okay so my last item is a bit out there...it certainly reminds me of a Barbie doll gown or something (pretty sure I had a doll with a similar dress haha). 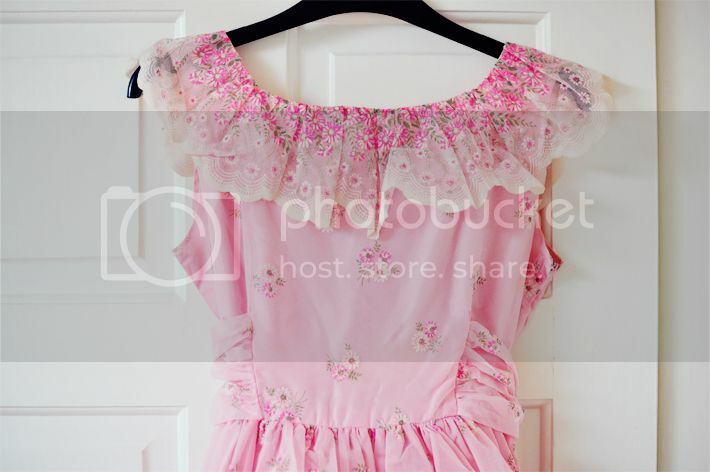 It's not something I've worn yet as I haven't had any offers to attend a pink themed ball...but when I saw this for £5 at a car boot sale I just had to have it, it's like a beautiful piece of vintage candyfloss! Which of Claire's bargains is your favourite? Oh wow, I literally love every single piece! Such great bargain finds - just goes to show what you can pick up at an unbelievably low price at charity shops or ebay! 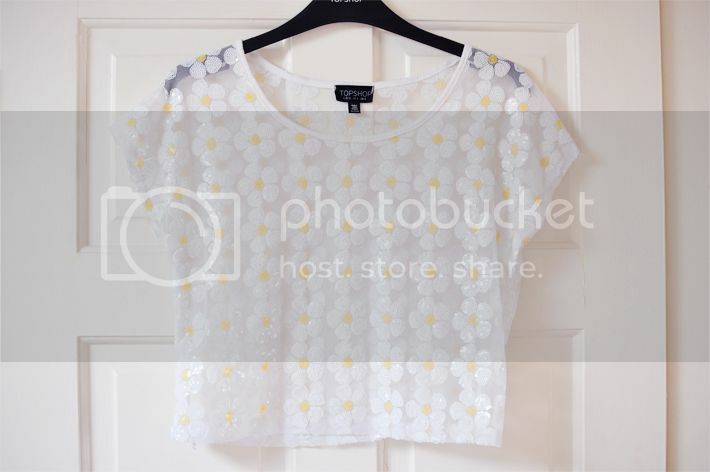 Love the Topshop top, such a good bargain! Love me some ebay. 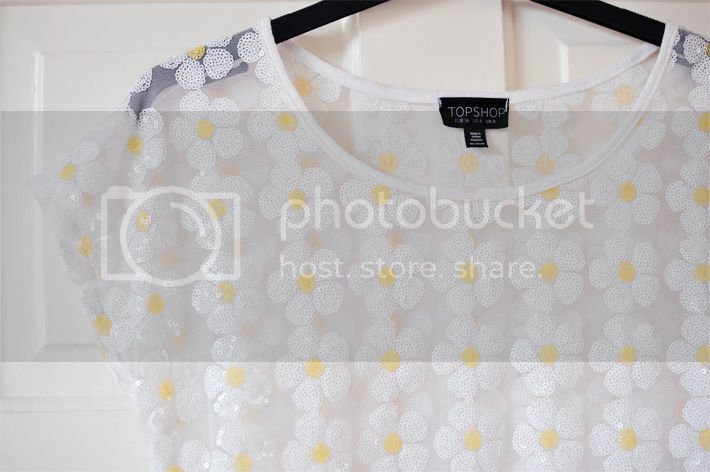 Absolutely adore the polkadot Topshop dress, so gorgeous for spring!